A drunk driving arrest is no joke. We're talking fines, loss of license, jail time and worse. Find out what the penalties really are. Under-age drivers risk license suspension for certain moving violations. If you think that Connecticut DUI laws are tough, check out what happens in other countries. A drunk driving arrest is no slap on the wrist. We're talking fines, loss of license, jail time and worse. Wondering what the penalties really are? 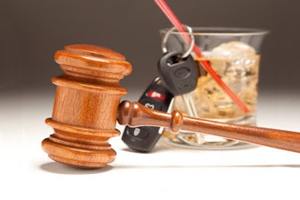 Check out the Penalty Matrices below to see just what awaits DUI offenders. Just keep in mind license suspension periods are outlined in the first chart are imposed in addition to the criminal penalties outlined in the second chart. 6 months suspended sentence with 100 hours of community service. Mandatory 120 days of a maximum 2 year sentence and 100 hours of community service. Up to three years, with mandatory minimum of one year and probation with 100 hours community service. If under age 21, three years or until you are 21 years of age, whichever is longer; If over age 21, one year. If the arrest was in Connecticut, the suspension is for 1 year and the operator is prohibited from operating a motor vehicle without an ignition interlock device for two years after license suspension. Suspension is for 3 years if the arrest did not occur in Connecticut. The license is permanently revoked, although the driver may request a hearing to reinstate the license after 6 years. For more information, take at look at a report from the State of Connecticut's Office of Legislative Research.